Someone starting to eat a cheese calzone. 4 How Many Calories Are in a Whopper With No Cheese, Mustard & No Mayo? Although cheese calzones tend to contain fewer calories than pepperoni calzones, they are not low-calorie meals. Cheese is high in fat, so calories can add up quickly; check nutrition facts closely if you are trying to lose weight. Online nutrition resource the Daily Plate explains that a 364-g cheese calzone contains 840 calories. If you base your diet on the suggested intake of 2,000 calories daily, then this calzone provides 42 percent of your daily calories. According to Nutristrategy, it would take more than two hours of high-impact aerobics to burn off 840 calories. Cheese calzones are high in fat. 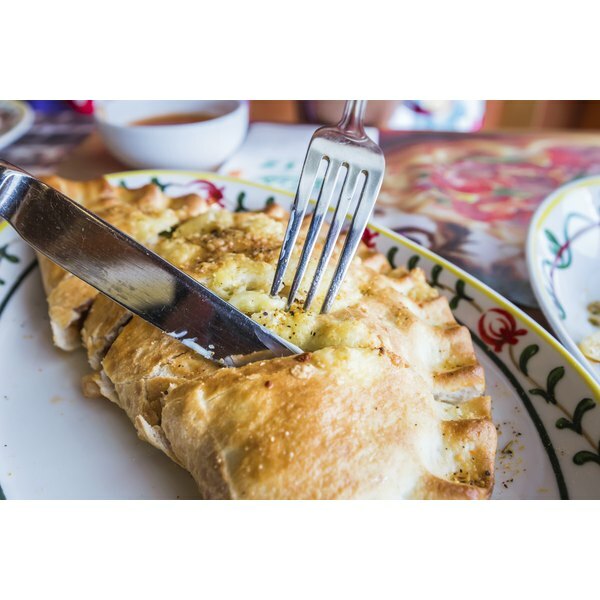 The Daily Plate notes that a 364-g cheese calzone contains 34 g of calories, with 15 g of saturated fat. The American Heart Association warns that saturated fat may increase your risk of heart disease, and recommends limiting daily intake to 16 g.
Cheese calzones are also rich in protein. The Daily Plate notes that one 364-g cheese calzone provides 34 g of protein. Protein is a vital nutrient that is present in every cell in your body, according to the National Library of Medicine and National Institutes of Health. 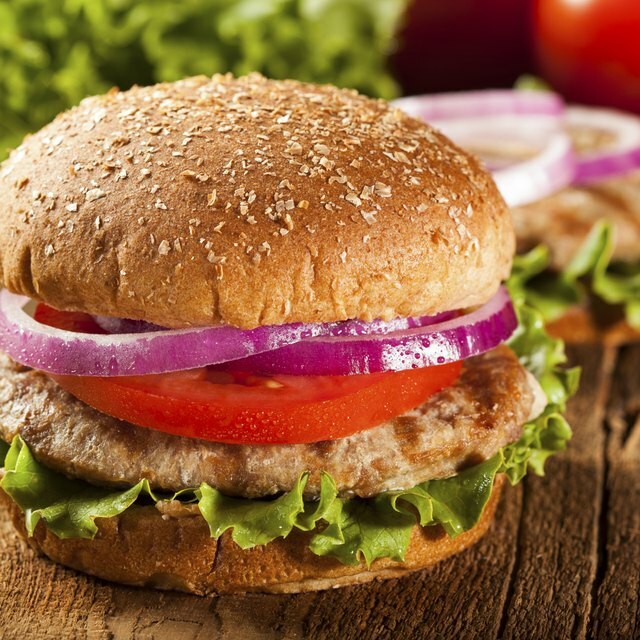 The organizations suggest consuming 50 to 65 g of protein daily. Cheese calzones also contain a lot of carbohydrates. The nutrition facts at the Daily Plate note that one 364-g calzone contains 101 g of carbohydrates, which are your body's main source of energy.